We're back from celebrating my parent's Golden Wedding anniversary where we has a great time. 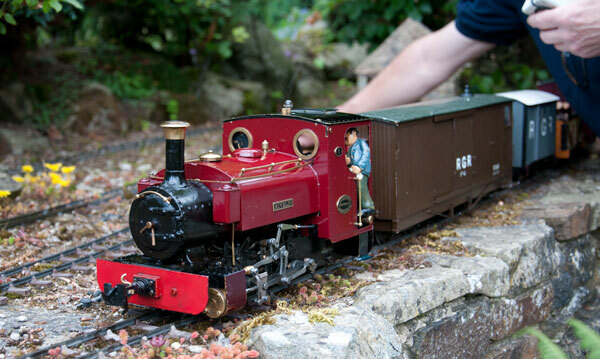 My father has a fabulous 16mm railway in the garden and many of the guests were fellow enthusiasts who brought their trains with them. 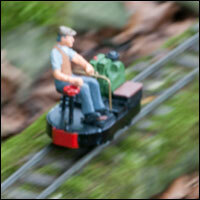 I had a great time chatting with the train people finding out how the steam powered locos worked. 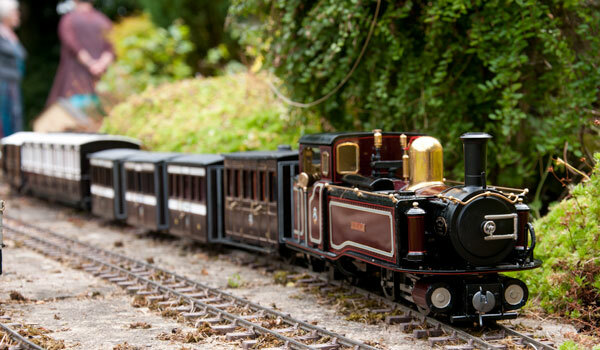 Most of the engines had gas boilers inside and used authentic steam pistons to drive them along the track. This mechanism caught my eye. 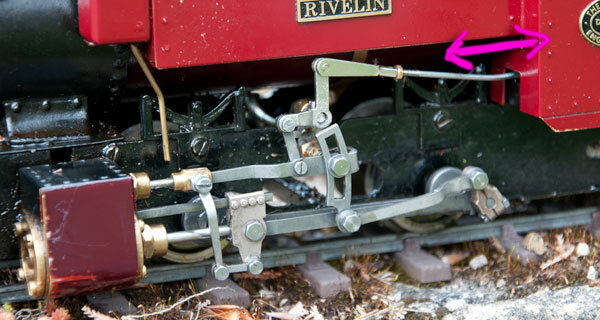 It is called a Walschaert's valve gear and is used to switch between forward and reverse gear. There is a rather good animation showing how it works on wikipedia. I wonder what software the author used to create it? 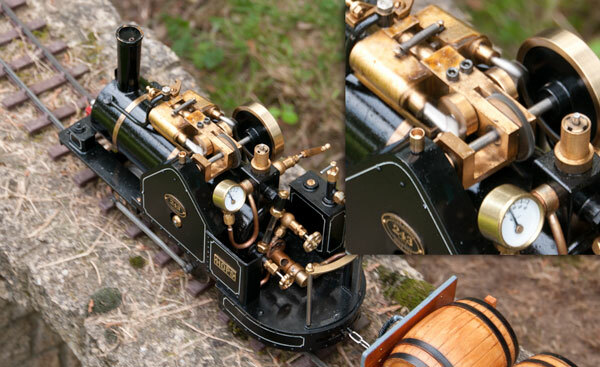 Some of the engines used the much simpler oscillating steam engine. The one below has two oscillating pistons with a gear between driving a much larger gear below. Simple but effective. There was even a tiny electric model. Cute! ← Happy Golden Wedding Anniversary!